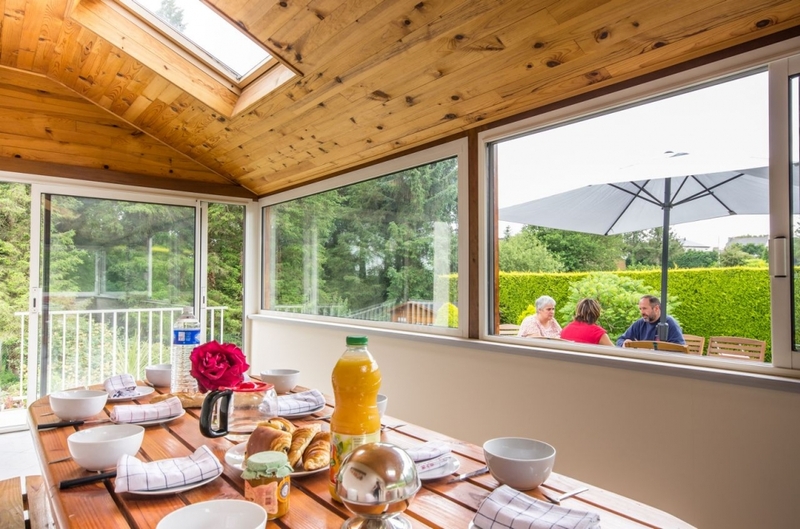 Step up to the full width sunroom. Relax in the shade of the cherry tree. Bedroom 4 on the ground floor. relax in the spacious lounge dinner. Everything you need in the well equipped kitchen. Watch your favourite UK/French programs on the satellite TV. 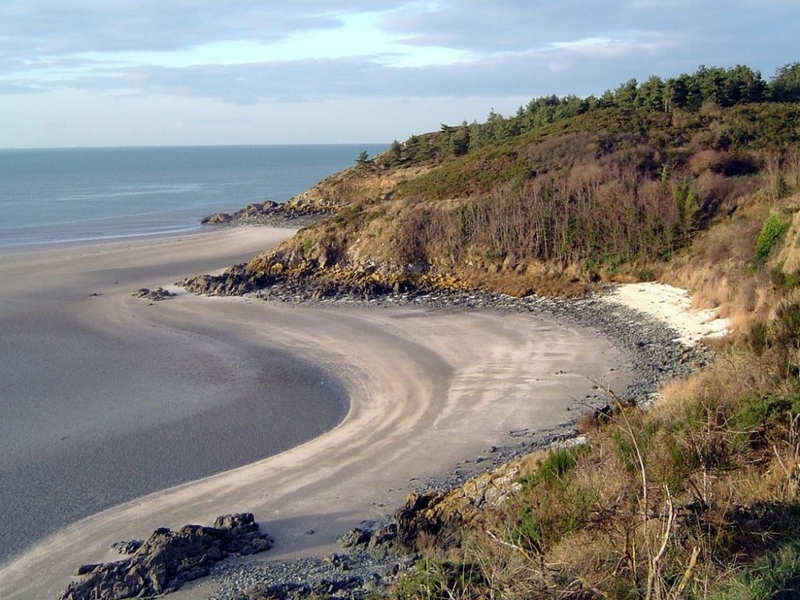 The beautiful beach of Pleneuf Val Andre & Dahouet Port is only 24km away. The beach at Baie Hillion is only 10km from the house. The beach at Erquy is 30km from the house. 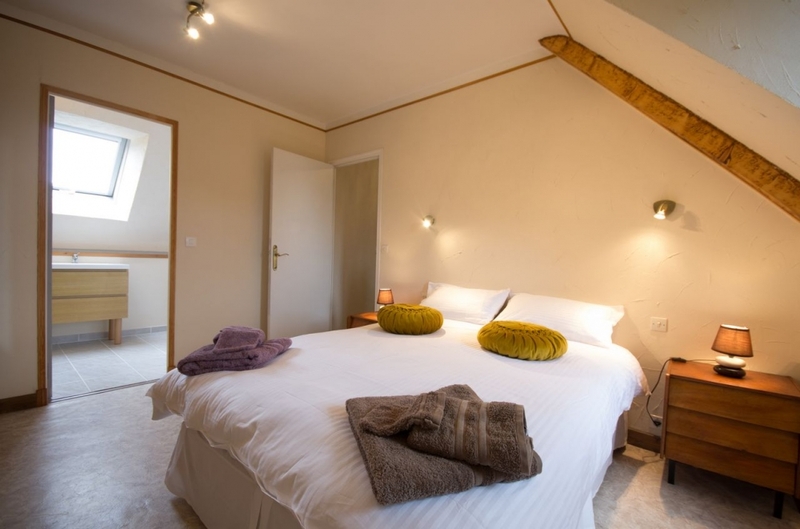 Our traditional detached Maison Bretonne is set in a small village, and provides tranquil, private and secluded accommoation for our guests. 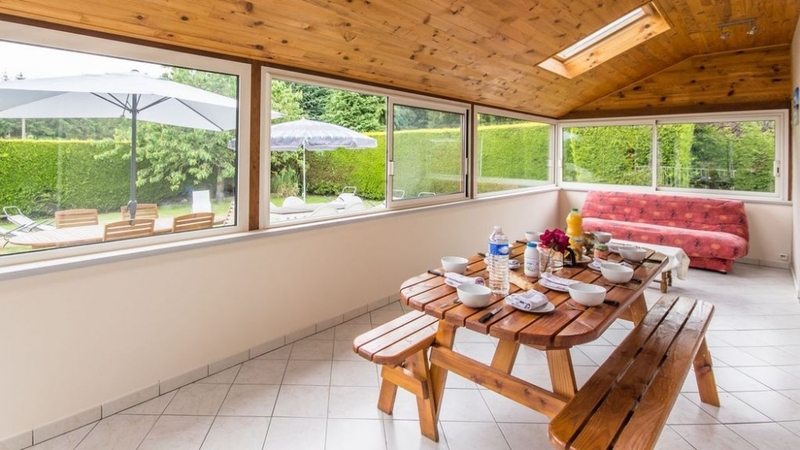 It is located between the picturesque villages of Quessoy & Yffinac which offer superb local facilities including supermarkets, boulangerie, bars & restaurants within 4km. 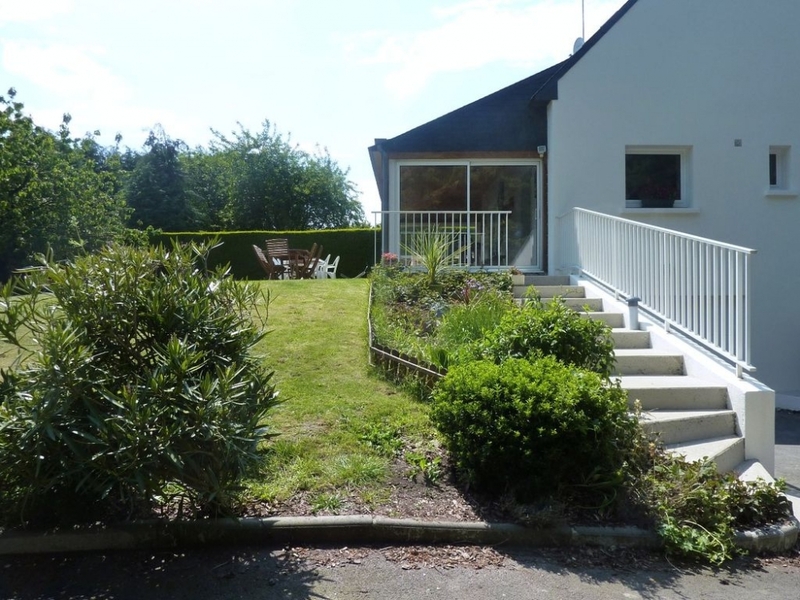 The property is an ideal base from which to explore Brittany, and is on a generous plot with a secure private south facing garden and off road parking, with adjacent wood land and backing on to an open field. 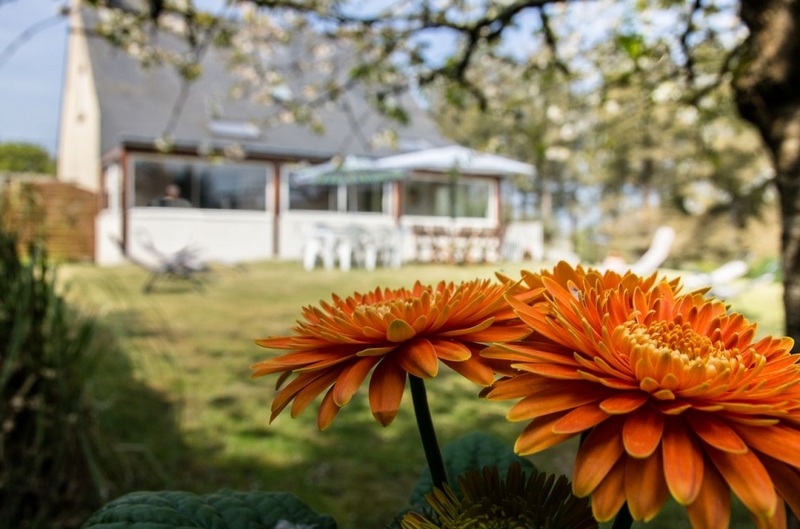 It is 10km from the city of Saint Brieuc and 15 km from the beaches of the Baie de Saint Brieuc, Les Rosaire, Le Val Andre and 20km to Erquy Cap Frehel. 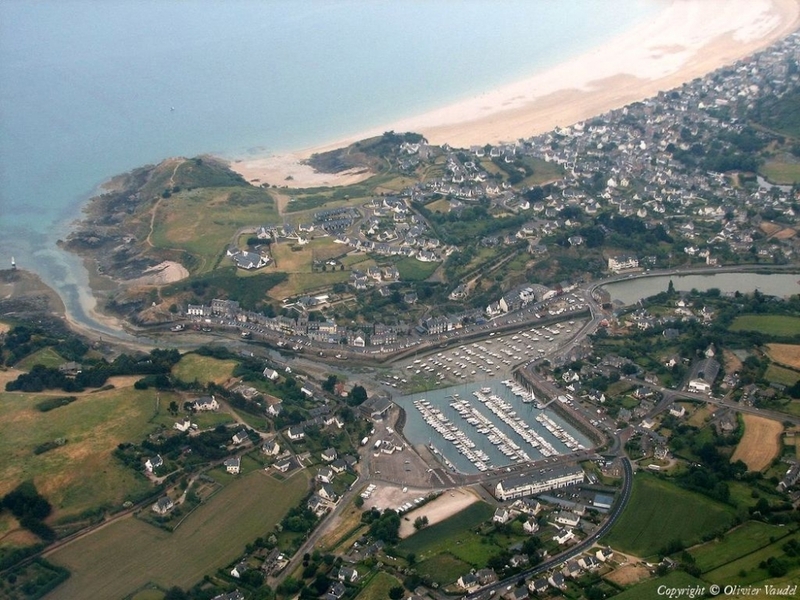 The ferry ports of St Malo (1.0hr) and Roscoff (1.5hr) are also within easy reach. The house can accomodate 2 families and the property layout reflects this. Possibility of booking Saturday to Saturday. 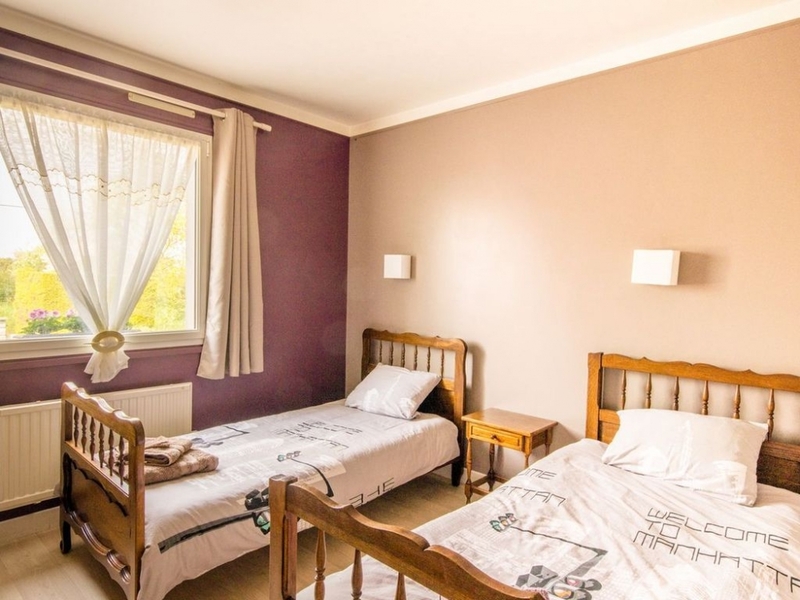 Bedrooms: Bedroom 1 with double bed and shower room, Bedroom 2 with double bed, Bedroom 3 with twin beds, Bedroom 4 with twin beds on ground floor. 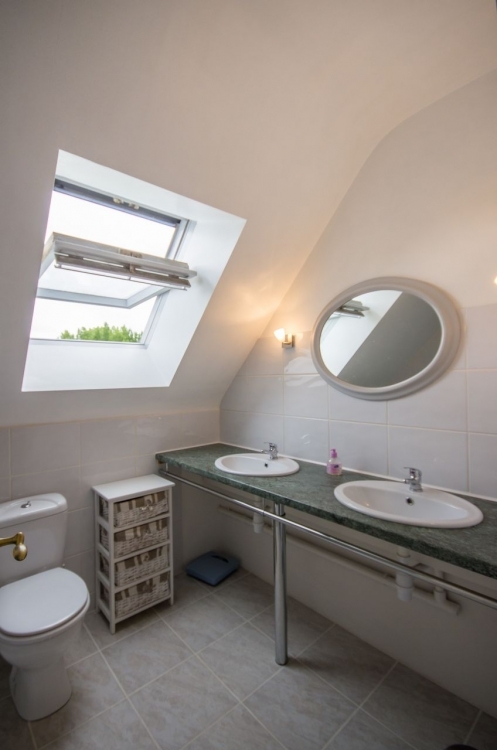 Bathrooms: Upstairs Family shower room with WC and twin sinks, En-suite shower room with sink to bedroom 1, Downstairs WC with sink. Kitchen: The traditional kitchen breakfast room has seating for 6 and is fully equipped to cater for 8 people. Amenities include gas hob, electric oven, microwave, toaster, coffee percolator and fridge. From the kitchen enter the large sunroom through frenchdoors to enjoy extra seating for 8 people overlooking the south facing secluded garden. Living Rooms: Dual aspect open plan lounge dinning room with doors opening on to generous sun-room. large sofa and 2 armchairs, wood burner, large dinning table seats 8 people. 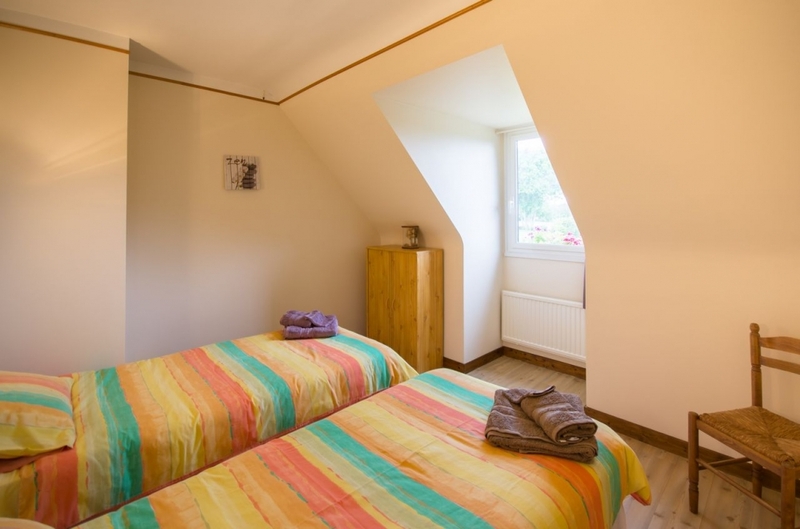 Wifi, Large flat screen TV with English/French channels, DVD player. 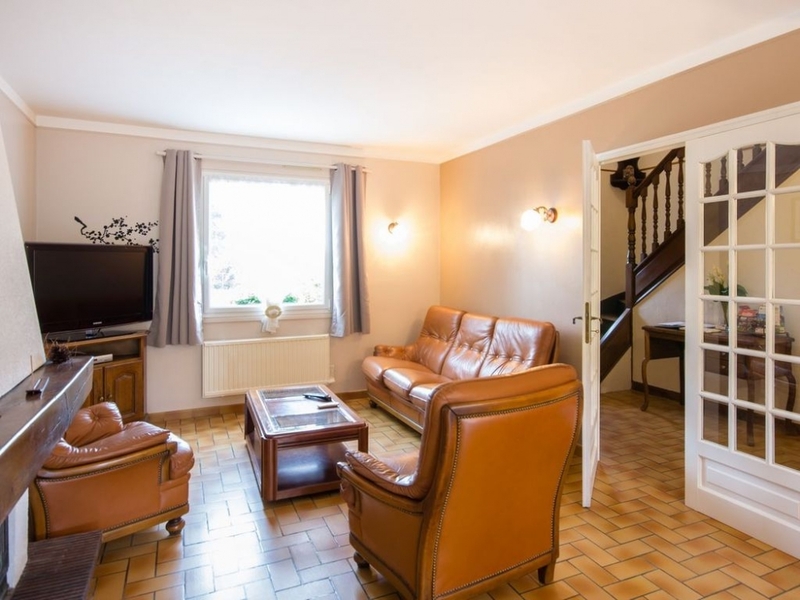 Entertainment: A large flat screen tv with English satellite Freeview and French terrestrial channels available, dvd player, stereo radio and cd player, free wi-fi internet access. Garden and Outside: The property is set on a 1058 msq secluded mature plot with south facing rear garden with open field beyond. Adjacent and to one side of the property is a small woodland. The garage and all out buildings will be locked and are not part of the rental agreement but, ample off-road parking is available on the private driveway. Visitor Suitability: The house is marketed to accommodate 2 families and the property layout reflects this. This property is not suitable for disabled access. 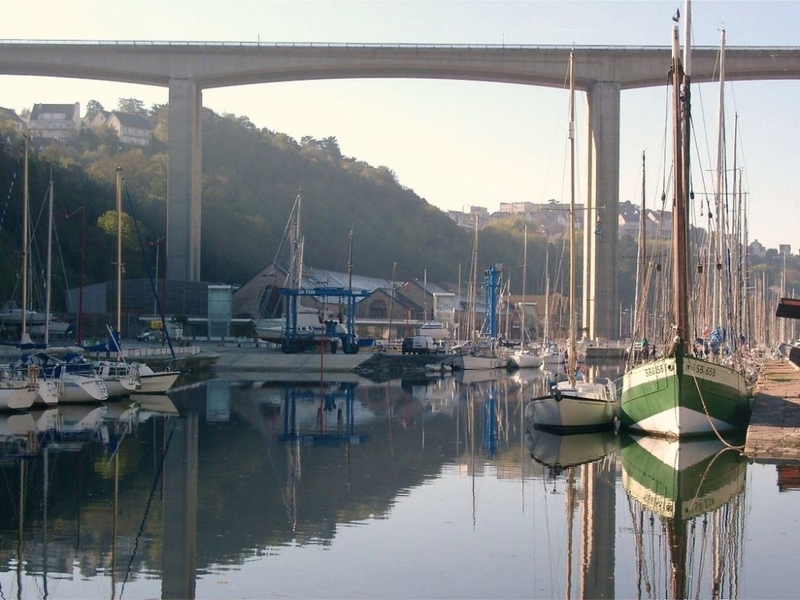 Brittany, the northwest tip of France, is a very popular holiday destination; it has long been popular with Parisians, being somewhat closer to Paris than the French Riviera. More recently, Brittany has attracted a growing number of visitors and residents from all over northern France, Britain and northern Europe on account of its easy access, and is now the fourth most popular tourist region in France, and the most popular in northern France. 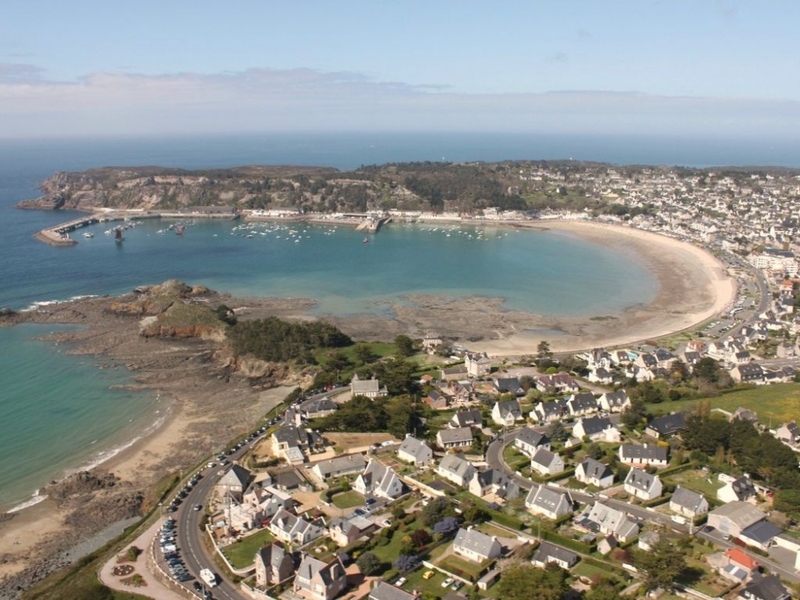 Easy to reach from the UK, and with property prices far lower than those in the south of England, Brittany has become a chosen destination for people looking for a quiet rural area to live in or retire to, a place that is easy to get to, yet seems a long way away from the pressures of urban life in southern England or the Netherlands or Paris. New arrivals from the UK are actually just following the route taken by some of their ancestors, the Britons like the legendary King Arthur, who came across from Great Britain in the post-Roman era, giving Brittany its new name – Brittany, the land of the Britons. 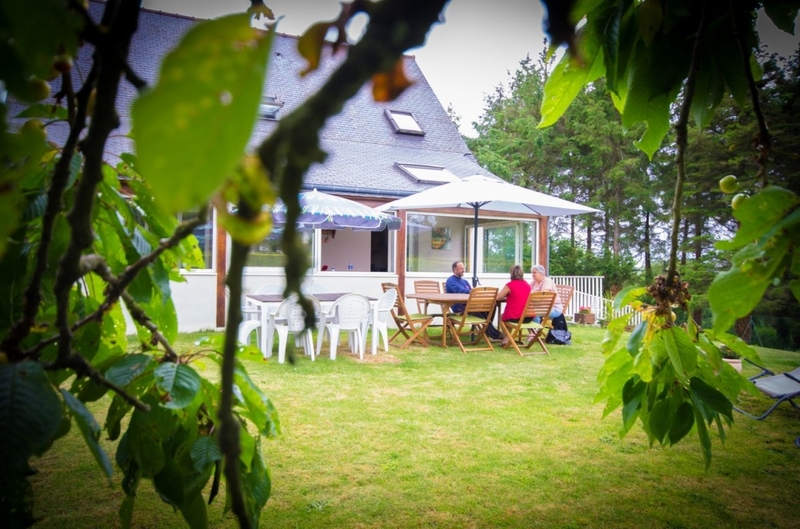 Today’s new Bretons have helped inject new life back into what was an area in serious decline; they have bought up large numbers of rural properties, saving them from dereliction, and converting many of them into attractive holiday cottages, villas or gites. 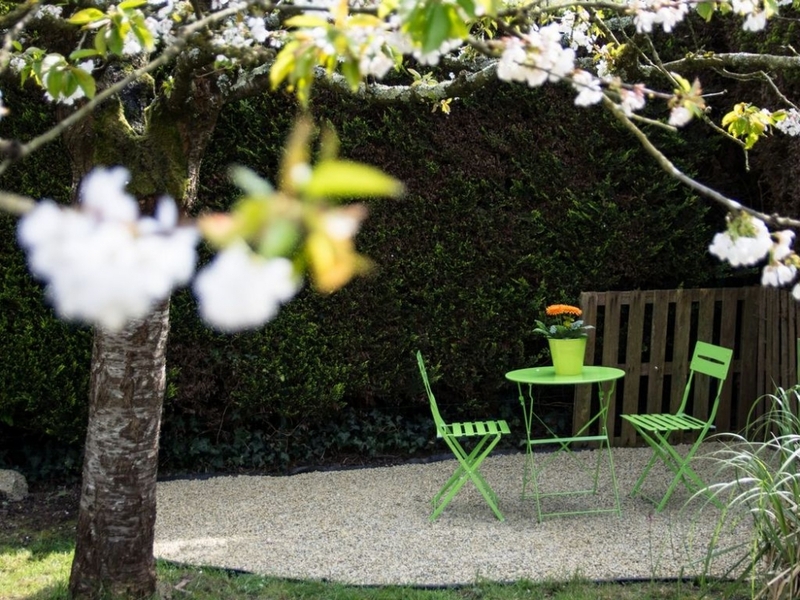 Architecturally, cottages in Brittany have much in common with those in the southwest of England; the classic Brittany holiday rental is an old stone buildings, with a slate roof, and often with whitewashed walls. A seafaring people, the “Bretons” have always remained in touch with their cousins north of the Channel ; and contacts between Brittany and Cornwall have remained strong over the ages. 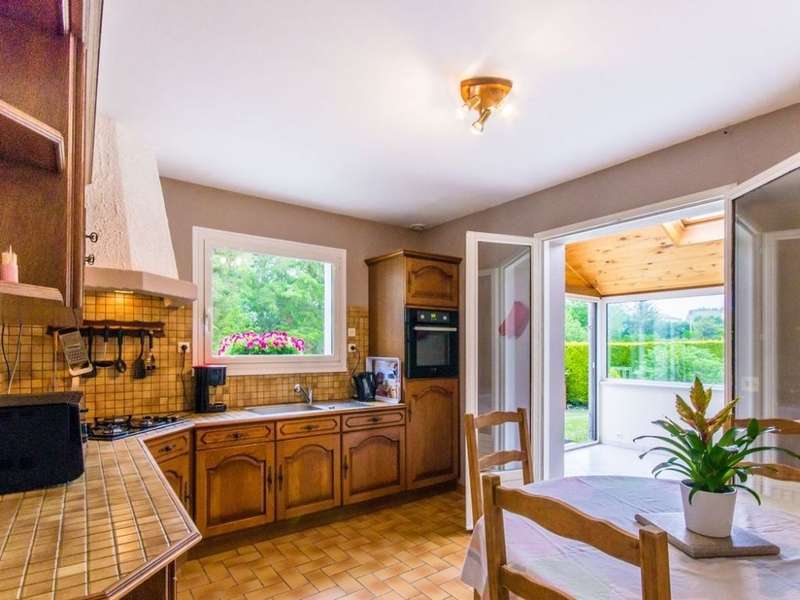 Nowadays there are plenty of holiday rentals and gites in Britany with UK owners who accept payment in sterling and can provide help and local information in English. 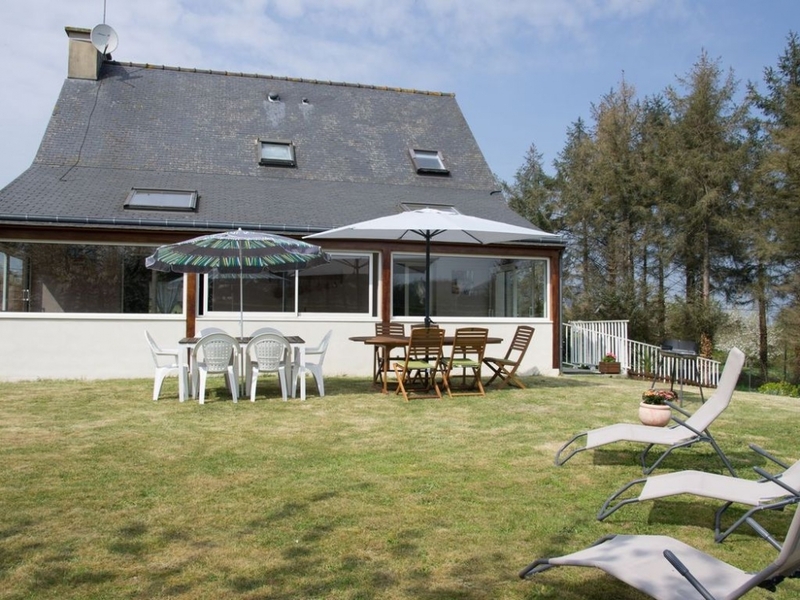 But obviously, there are even more holiday cottages in Brittany with French owners and caretakers. 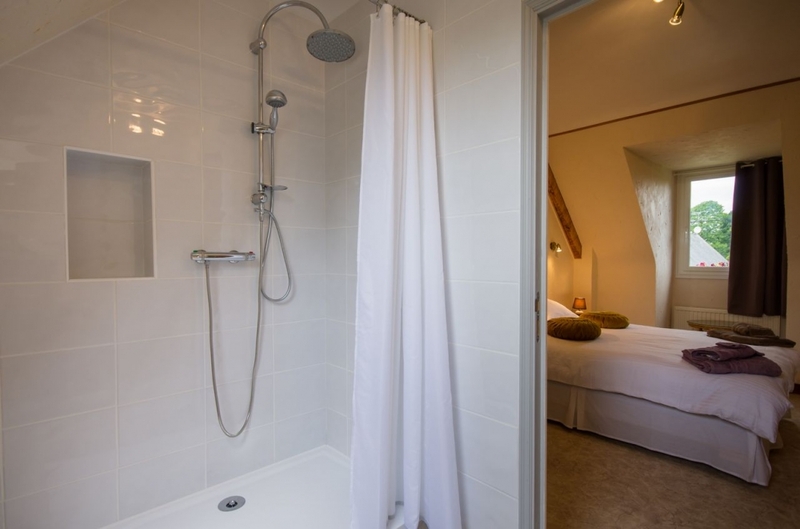 Our traditional detached Maison Bretonne is set in a small village, and provides tranquil, private and secluded accommoation. 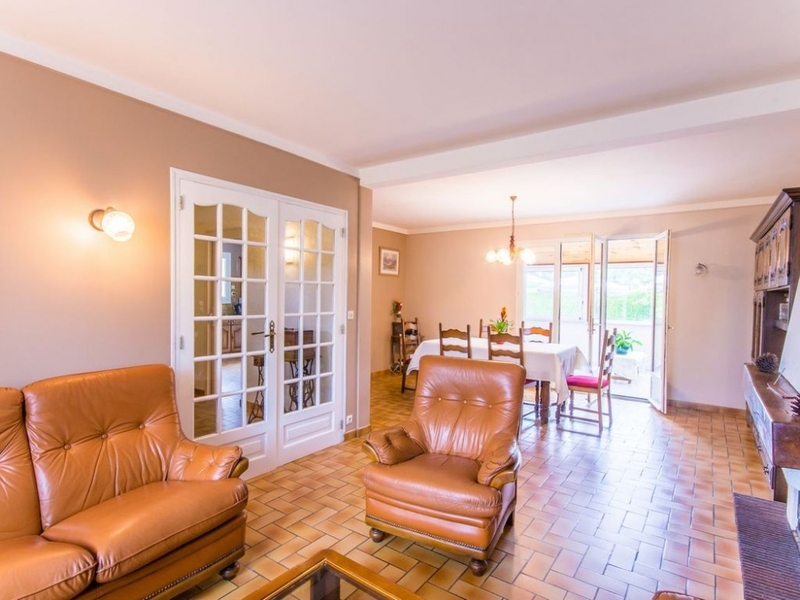 Located between the picturesque villages of Quessoy and Yiffiniac. Please Note: The £ 50 € 60 cleaning fee is already included in the above prices. Cancelled bookings will not receive a refund. It is recommended that guests take out a holiday insurance to cover loss of deposit or total holiday price due to unforeseen circumstances.